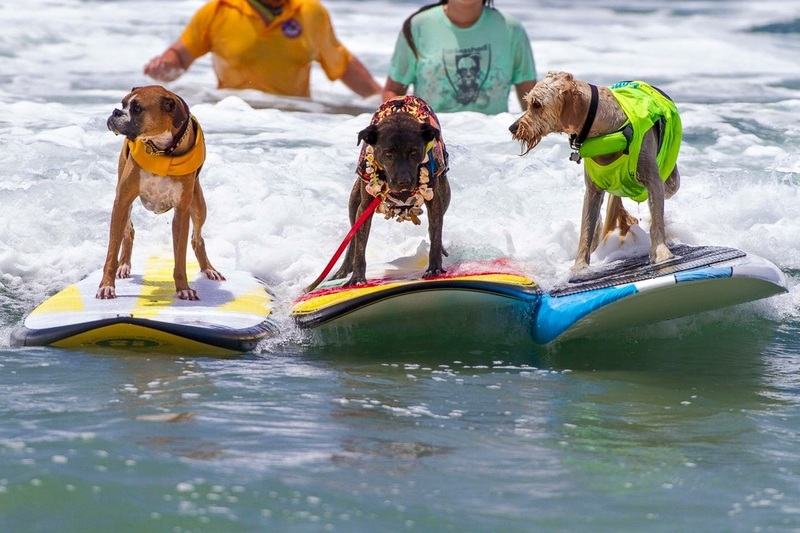 Favorite Sports/Activities/Pastime: Surfing, learning tricks, playing in the park! 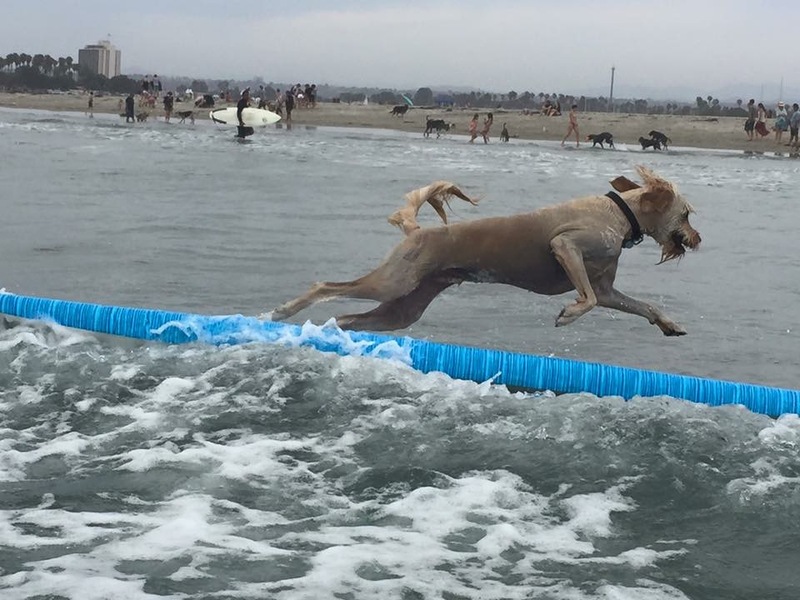 Teddy was adopted from a North County San Diego breeder and began his training from day 1. He was a doggy prodigy and passed his CGC at 6 months. 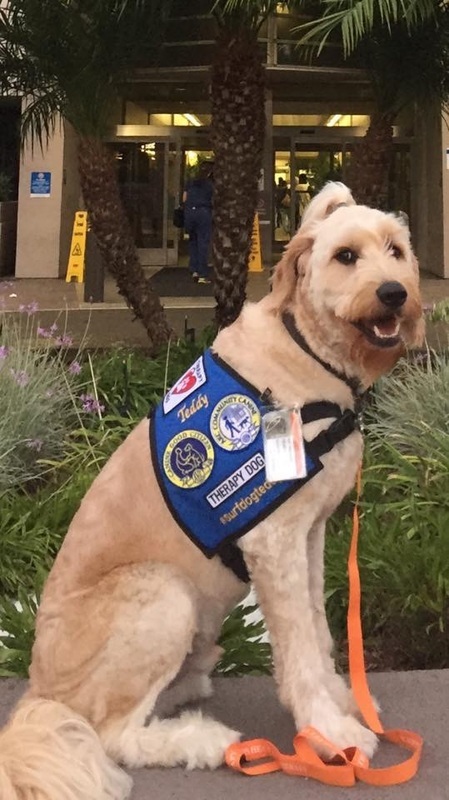 He was certified as a therapy dog at the age of 1 and began working as a therapy dog with the San Diego Humane Society right away. 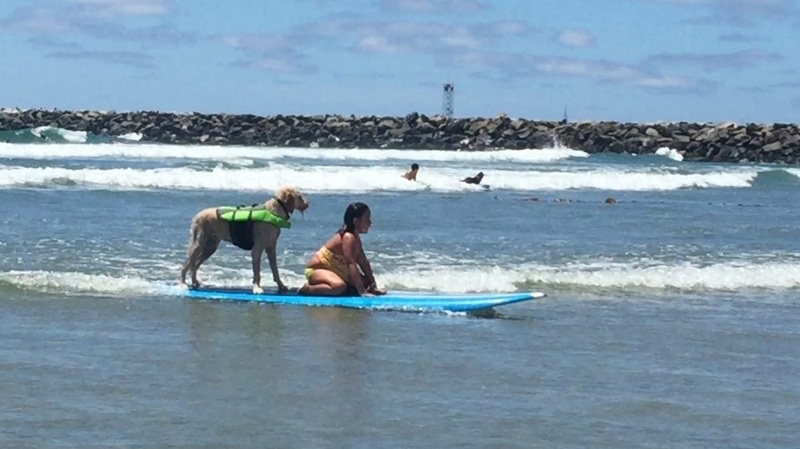 At 1-1/2 years old he began working as a Scripps Mercy Hospital Therapy Dog in addition to the Humane Society. 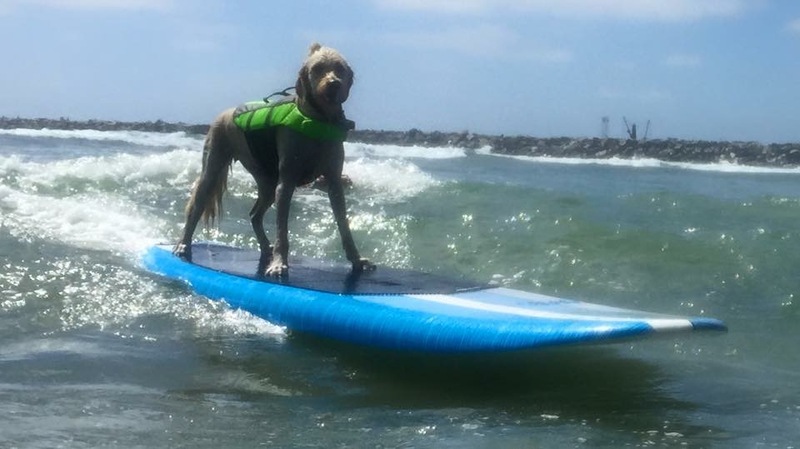 Teddy works as a service dog at home and knows dozens of commands. 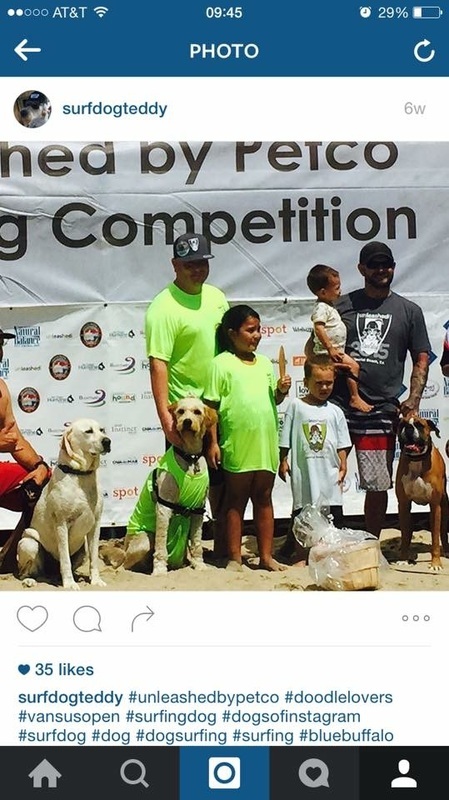 2015 UnLeashed by Petco in Imperial Beach CA. 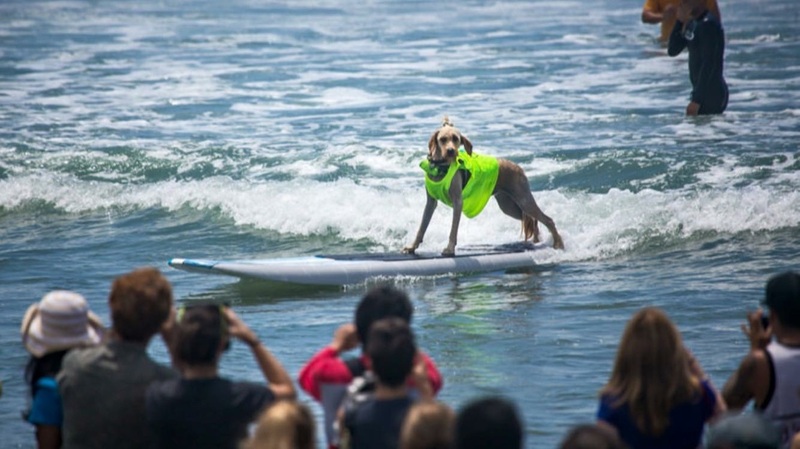 2015 Helen Woodward Animal Center's Surf Dog Surf-A-Thon in Del Mar CA.